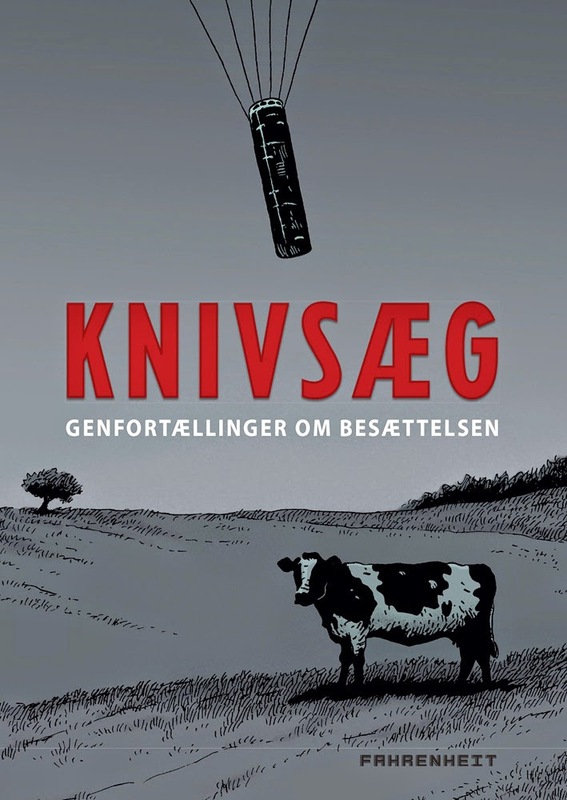 Today is available in bookstores in Denmark a Danish Comic Book Anthology entitled "Knivsæg" published by the Copenhagen-based publisher Fahrenheit. 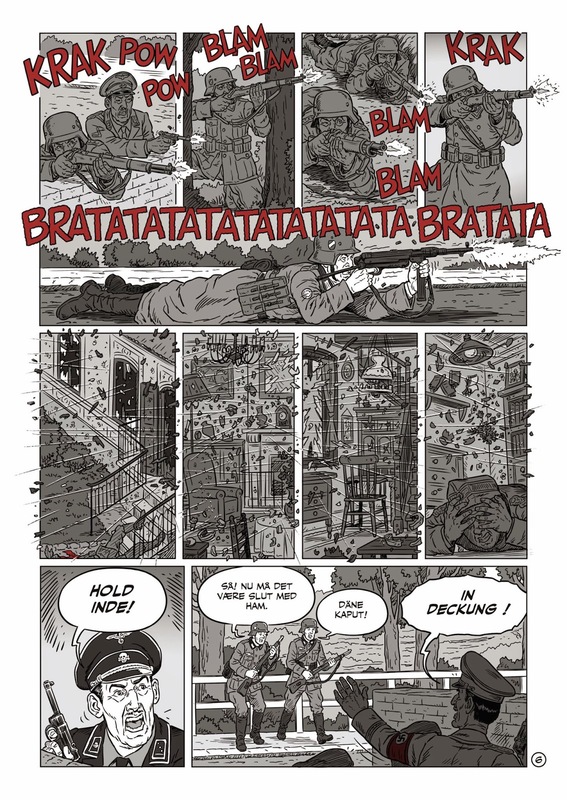 It is a 250-pages long book collecting many graphic short stories by several authors, mainly Danish, about Denmark during World War Two. 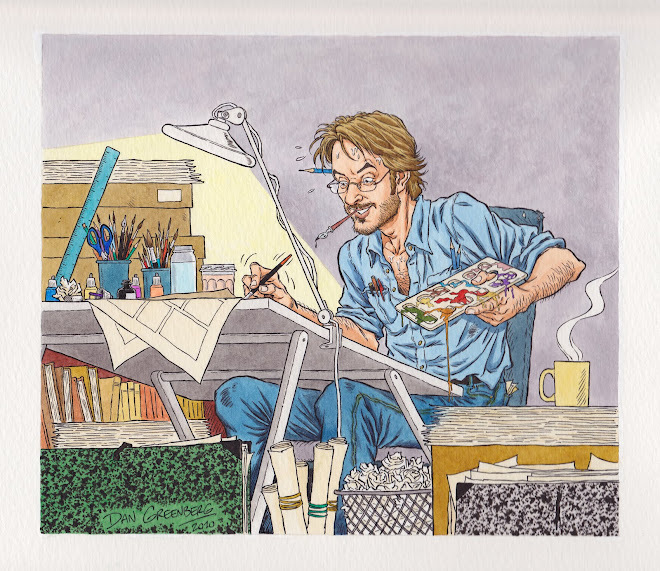 I have illustrated one of these short stories, on a script by my longtime collaborator Erik Svane with whom I created the "General Leonardo" french comic book. 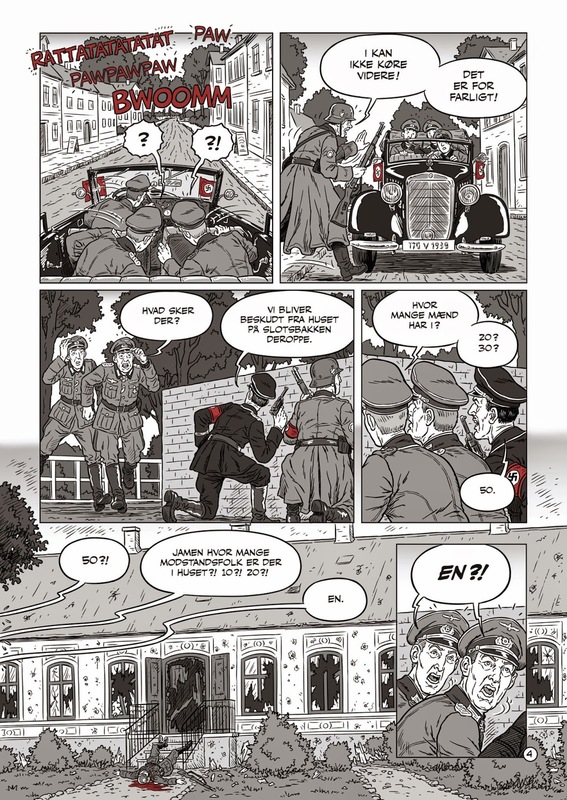 Here are excerpts of this story entitled "Ene Mand Mod Overmagten"("One Man Against Power" in Danish) about a famous Danish officer who refused to surrender to Nazis and fought alone until the end entrenched in his house, surrounded by German soldiers.